Remember to print out your map for Sunday! 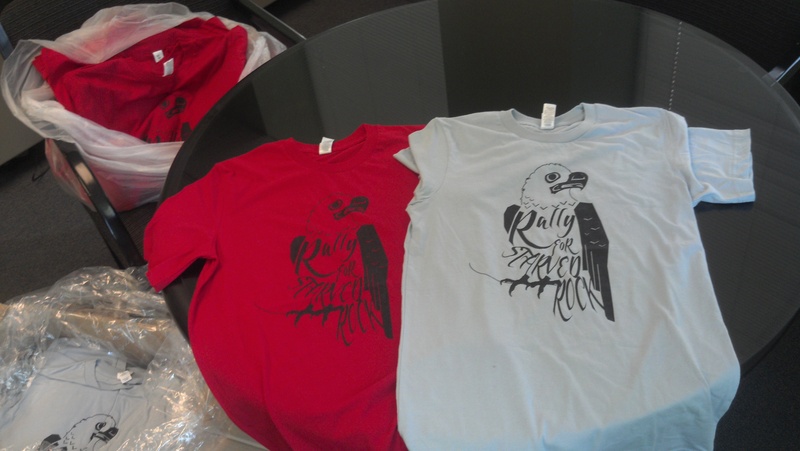 Pick up your $10 Rally for Starved Rock shirt this Sunday! Despite our efforts, the Starved Rock Mine is slowly inching forward through the permitting process. Since we have had limited opportunities for public input and comment, we decided to host our own PUBLIC MEETING to give YOU a platform to speak out against the mine. 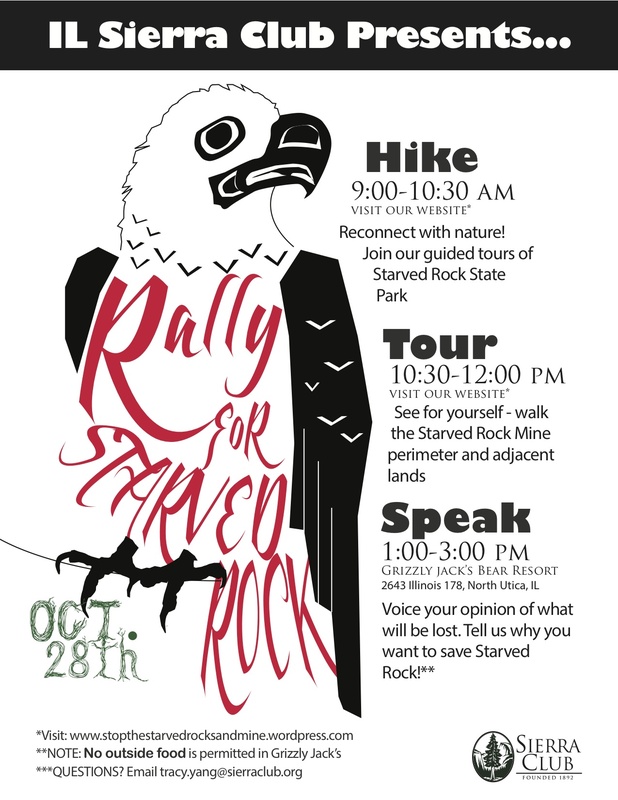 Join the Illinois Sierra Club this October 28th to get your voice heard! Hike the trails, tour the mine perimeter, and tell your stories. United, we can tell Gov Quinn we oppose this mine!